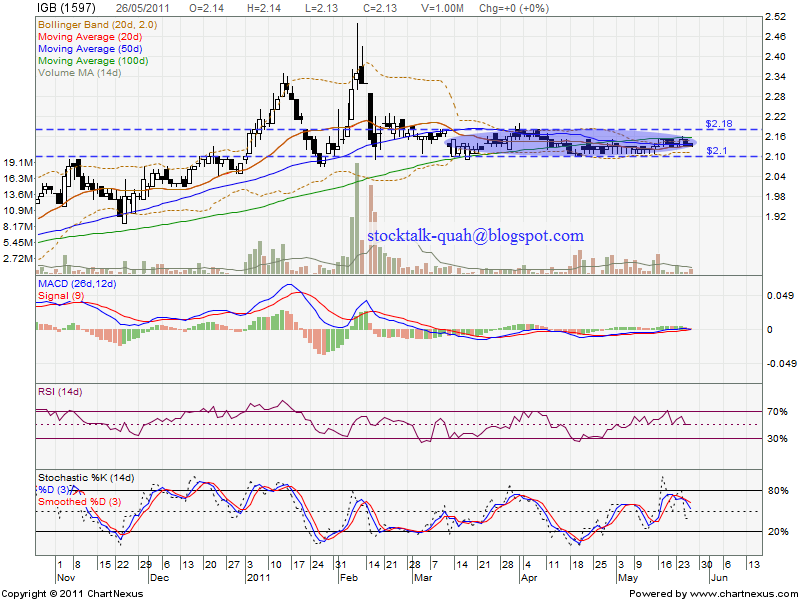 Since March 2011, IGB been trade on side way, it keep consolidate within RM2.10 & RM2.18 range. From the chart, it is very obvious that forming bolinger band squeeze. Will it break up or break down??? If able break up bolinger band, it is a good opportunity to entry. 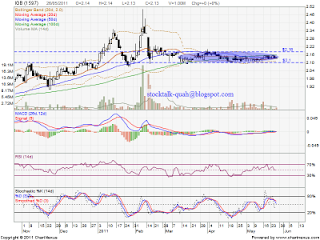 It will retest RM2.32 level. However, if break down the bolinger band, next support would be RM2.00 physiology support level.